All the above classes are 1 day classes and we have very flexible timings. Classes are also conducted on weekends for the convenience of working women. 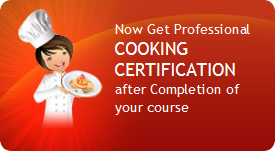 Enjoy learning the art of cooking where all your queries will be answered patiently and you will be more confident with your skills. We work with small groups so that no one is left unattended. Detailed notes are given for each class. All the dishes prepared are distributed evenly with all the students to take back to their families and share it with them.